Current VCFA MFA in Film candidate, Rick Mitz, has worked in the industry for decades and teaches screenwriting. Here he discusses his incredible journey to VCFA and his thoughts on screenwriting and the act of expanding one’s art. I got my first job in NY at GQ Magazine. I showed up at the editor’s office and said, “I’m here about the writing job.” He looked me over and said, “Well, you certainly aren’t here about the modeling job!” He saw my confused look and felt so bad he hired me on the spot. My first article was “How to Fold Your Pants,” and I wrote for GQ for years. I worked on many TV shows– in Hollywood, in NY, in London–and soon had my own shows on the air. I was doing a documentary series for AMC about Hollywood, and one of the subjects I was interviewing taught at a small boutique film school and wondered if I would ever be interested in teaching there. So, I found myself teaching screenwriting–short films and TV writing. As a teacher, I channeled what I had learned from Lear (beyond “listen to janitors”), which was to always write from character–not plot, or jokes, or situation, but character. Figure out who the character is and, more importantly, how s/he became that way. I was offered a full-time faculty position, the only catch being, I had to get my MFA. I found out about VCFA, which has a low-residency film program. Frankly, I enrolled with a real attitude that this was just a means to an end. Except it wasn’t that at all. For my first semester, I wrote a short film (something I’d taught, but had never done) about a serious subject (ditto). My professor, the very nurturing and wise Michel Negroponte, gave me notes unlike any I had ever received before. He pushed me–no, pulled me–to get out of my comfort zone and go deeper, richer, to get out of the predictable and repetitive, and to immerse myself in the unexpected places of the world I had created. It was like I was learning how to write all over again, or perhaps write from the very beginning! And it worked. I ended up writing a script that was unlike anything I had ever done, something I am more proud of than anything I’ve ever written. Most importantly, that work–and future work I do at VCFA–now informs the way I teach and write going forward. This essay was previously published at Script Mag. 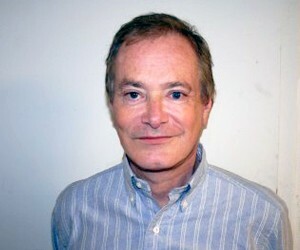 Rick Mitz is a screen and television writer as well as the author of several books. Mitz has been teaching screenwriting at Columbia College Hollywood since 2001 and is now “lead faculty” and head of the Screenwriting Department. In addition to his work as a writer, Mitz has been a programming consultant to both the UK’s Channel 4 and ITV since 1994. Before that, he worked extensively with television producer Norman Lear on several pilots, specials and series. Mitz has written original screenplays for Universal, Embassy, Warner Bros. and Paramount. He has created and executive produced the TV series “aka Pablo” (ABC), “Hi Honey, I’m Home” (ABC) and “The Lot” (AMC), as well as episodes for such comedies as “You Again,” “Valerie” and “Square Pegs.” In addition, he has written 100 episodes of “The Spin-Offs” web-series, as well as the feature screenplay, “She Started It,” for his own production company It’s Mitz Productions. Mitz was also head-writer of ABC’s “TV Guide’s 50 All-Time Greatest Shows” special and wrote and produced “Hollywood’s Best-Kept Secrets” for AMC. 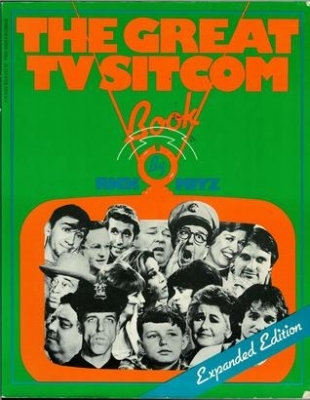 His book, “The Great TV Sitcom Book,” was the first book written on television situation comedies, was a best-seller. In addition, he wrote “The Apartment Book,” as well as several career books for young adults.